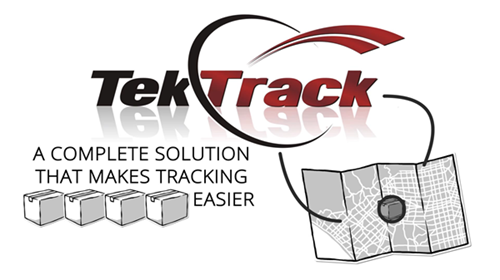 TekTrack® Package Tracking is a scalable, package tracking software system designed to provide maximum benefits with minimal use of corporate and network resources. It allows you to process thousands of packages a day from the same building or campuses around the world. With centralized data storage and access from anywhere, TekTrack makes managing package tracking resources a breeze. TekTrack's modular design allows you to purchase only the features that fit your organization’s demands without having to purchase an oversized system or features that will never be utilized. This way you can start with a package tracking system that fits your immediate requirements and budget but still expand it at a later time as your organization’s needs grow. Below is a list of the most widely used TekTrack modules and some of their primary features. Detailed chain of custody for packages showing where they have been and who they were given to. Package processing and administration performed through PC package tracking app. Records proof-of-receipt signatures using a signature pad, touch screen, magnetic card reader, or badge barcode. Our unique SmartScan™ barcode technology for faster package processing. Add up to 5 custom package fields. Search & create customizable reports. Supports Windows Mobile, Windows, and Android mobile computers. Supports iOS, Android, and Windows phones & tablets. Package tracking app supports offline or "batched mode" operations. Package processing and system administration through a web browser. Package tracking user & group profiles. Special handing instruction alerts for specific packages or recipients. Attachments & camera support. Keep important documents or pictures of damaged packages in the history. Advanced processing for identifying recipient, sender, and other information about a package. User & group permissions for managing your staff's access in the system. Pallet & satellite package processing support. Additional notification types, including: phone, web, and program notifications. Want to see our package tracking system's unique features that aren't listed above? Let us impress you in a one-on-one demo with automation features that get your job done quicker and easier! Self-service, read-only access for recipients to check on their package's statuses without contacting the mailroom. Shows recipient the full chain-of-custody and proof-of-receipt signature. Access to package carrier history. Brand to look like part of your organization's web site. Package Tracking Made Smart. Simple. Secure. TekTrack® Package Tracking is available in two editions: On-Premise and Cloud. Both editions are designed to meet the needs of organizations of any size and provide you with the same powerful package tracking feature options. Which one is right for you? X identifies features included in the base package of each edition. Remaining feature sets are optional edition add-ons.